Subaru of Indiana Automotive (SIA) is investing upwards of $400 million to expand its operations in Lafayette, Ind., to accommodate production of the Subaru Impreza. The Subaru Impreza is currently produced only in Japan. Adding production of the Impreza at the company’s Indiana plant will create 900 new jobs. The expansion will create up to 900 new jobs by the end of 2016. The SIA plant currently employs more than 3,600 at the Lafayette campus, 600 of whom have been added in the last four years. The project will involve expanding the plant’s production capacity by approximately 100,000 vehicles annually and adding more than 500,000 s.f. to the company’s existing plant. The project will also include the installation of new equipment, primarily in the paint and body assembly sections, as well as changes to improve overall process flow. Construction is slated to begin this fall and is expected to be complete by the end of 2016. The expansion marks SIA’s second major expansion in Lafayette in less than a year. In May 2012, the company announced plans to invest $75 million to increase SIA’s Subaru capacity from 156,000 to 180,000 units annually with no overtime, creating up to 100 new jobs by 2014. As part of that expansion, the company is in the midst of adding 52,000 s.f. 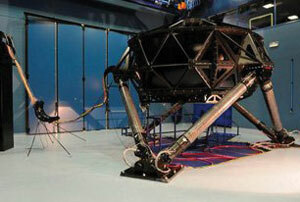 to SIA’s body-assembly section. Subaru models currently being produced at the Lafayette plant include the Outback, Legacy and Tribeca. 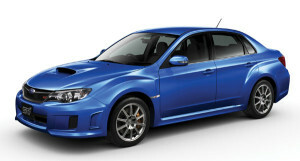 The Impreza is currently built only in Japan. Acura has announced that its all-new NSX “super car” will be produced at a new $70 million “performance manufacturing center” in Marysville, Ohio. 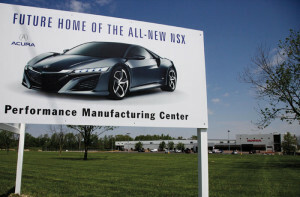 Marysville, Ohio, has been selected as the site for a new advanced manufacturing plant that will produce the Acura NSX. The site for the 184,000-s.f. advanced production facility, which will be Honda’s third auto plant in Ohio, is only a few miles from the Honda R&D Americas Inc. Ohio Center that is engineering the NSX for production and adjacent to Honda of America Manufacturing’s Marysville Auto Plant. Honda currently produces Honda Accords, CR-Vs and Crosstours, as well as Acura TL sedans and RDX SUVs in Ohio and employs more than 13,000 workers in the Buckeye State. The new performance manufacturing center will also be close to Honda Engineering North America Inc., the center for the development of new production technologies, and will employ approximately 100 highly skilled manufacturing associates drawn from within Honda’s existing operations in Ohio. Associates at Honda’s engine plant in Anna, Ohio, will assemble the NSX powertrain. ♦ The Indiana Economic Development Corp. is investing $1.15 million in the motorsports engineering program at the Purdue School of Engineering and Technology at Indiana University-Purdue University, Indianapolis (IUPUI) to develop a partnership with Italian chassis manufacturer Dallara to conduct basic and applied research involving dynamic vehicle simulation. State officials say the project will advance motorsports engineering techniques and motorsports-related economic development opportunities for Indiana. ♦ Cloud-based phone service provider Fathom Voice is investing more than $4 million to expand its Indianapolis headquarters. The expansion will create up to 183 new jobs by 2017. ♦ Mitsubishi Electric Power Products Inc. has opened a $200 million transformer factory on nearly 100 acres in Memphis.  The 350,000-s.f. plant represents the company’s largest single investment in the United States and is capable of producing the largest power transformers in the world, with voltage levels exceeding 765 kV – the highest system voltage used in North America for efficiently transmitting electric power. The plant has started production with 65 new employees and is expected to reach approximately 275 at full production. At full capacity, Mitsubishi Electric’s new factory will produce more than one large transformer each week. ♦ Goodman Manufacturing, an air conditioning and heating equipment manufacturer, is expanding its plant in Dayton, Tenn., to meet an increased demand for its products. The $2 million expansion will create 200 new jobs. ♦ Alcoa has announced plans to expand its rolling mill in Alcoa, Tenn., to meet a growing demand for light, durable and recyclable aluminum sheet for automotive production. The expansion represents a $275 million investment over the next three years and will add 200 permanent full-time jobs, as well as 400 jobs during the construction phase. When complete, the plant will be a key supplier to both the packaging and automotive markets, with much of the volume for the automotive expansion already secured under long-term supply agreements. 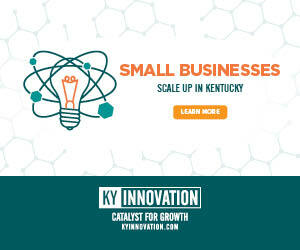 ♦ NHK Seating of America Inc. has launched a $6.8 million expansion of its manufacturing plant in Murfreesboro, Tenn., that will add a robotic weld cell using robots to produce automotive seat structures. The expansion will create 94 new jobs, more than doubling the plant’s existing workforce. ♦ The Oreck Corp., a Nashville-based manufacturer and marketer of vacuum cleaners and air purification products, has announced that it is consolidating its assets and restructuring its financing under Chapter 11 of the bankruptcy code in order to accommodate a sale as an ongoing business. Oreck officials said the move would enable the privately owned company to sell the business while continuing day-to-day operations without interruption. The company employs 70 people at its Nashville headquarters and approximately 250 at its manufacturing facility and call center in Cookeville, Tenn.